Editor’s note: This post was originally published on January 6, 2009. It was substantially revised and re-posted on March 24, 2014. She’s short and sophisticated, part-nickname, part-standalone. And thanks to the creative powerhouse behind HBO’s Girls, she’s very much in the spotlight. 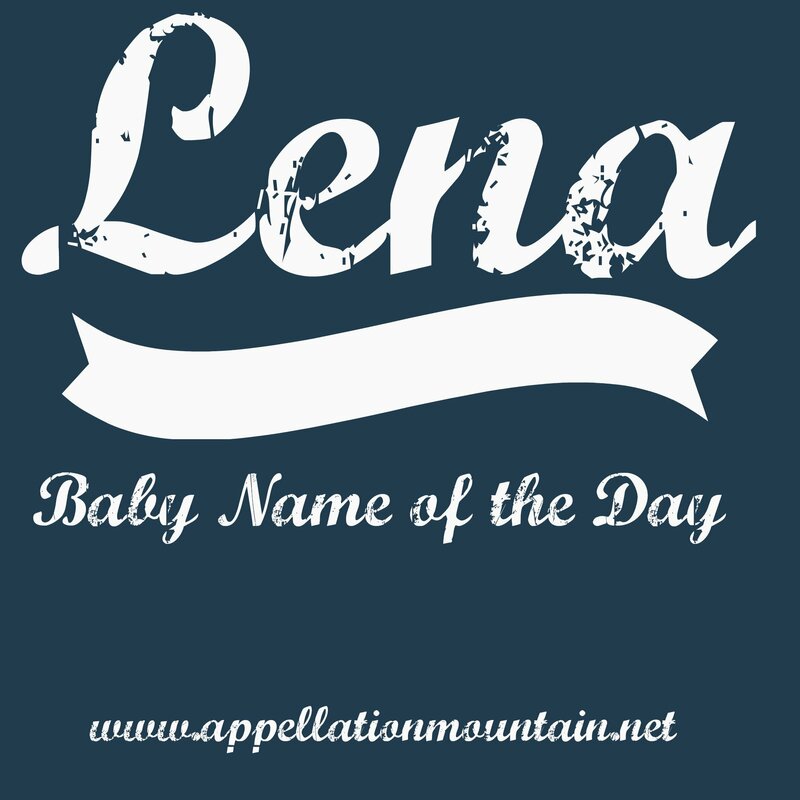 Thanks to JNE for suggesting the lovely Lena as the Name of the Day. While Tina and Gina both feel dated, fellow diminutive Lena has a timeless appeal. All of them come from longer names – in this case, Helena and Magdalena are the two most common, but definitely not the only possibilities. Her meaning depends on the name that you’ve shortened. If you’ve borrowed from the Helen family, then she means light or bright. Mary Magdalene took her name from the place, Magdala, in ancient Palestine. But Lina is an Arabic name meaning tender, as well as a Hindi name meaning united. Add in names ending with -lina, like Catalina, and there’s a whole other list of potential origins and meanings. All of this makes Lena nicely international, heard in Slavic and Scandinavian languages and beyond. She’s currently popular in Germany and Poland, but well known in plenty of European countries, from Ireland to Belgium to Slovenia. There’s a river in Siberia and a village in Norway by the name. It’s easy to imagine her on a well-worn passport. As your Lena crosses borders, she may find her name pronounced differently. Some advocate for LAY nah, and in our age of Layla, it is easy to imagine her finding favor. Others rhyme this name with Jenna. But the dominant pronunciation is a long ‘e’ sound – LEE nah, which tracks with Liam and Leah and other Lee- names that we appreciate in the US. Oscar-nominated Swedish actress Lena Olin is probably best known as Sidney Bristow’s not-so-nurturing mom on Alias. English actress Lena Heady graduated from the lead role in FOX’s Terminator: The Sarah Connor Chronicles to HBO’s Game of Thrones, where she plays Cersei. Speaking of HBO, the previously mentioned Ms. Dunham has won many accolades and awards for her series, Girls. Alexis Bleidel played a member of The Sisterhood of the Traveling Pants who answered to this name – and also, tomboyish nickname Lenny. Lina Cavalieri was an Italian operatic soprano, born Natalina. Born Elena, Lena Katina is part of Russian pop duo t.A.T.u..
Other notables hail from Cuba and Syria, but the most famous is doubtless the award-winning singer, actress and activist Lena Horne. In 1943 she sang “Stormy Weather” in a movie of the same name. We’ve forgotten the flick, but she’s still famous for that song. Horne was also an important part of the Civil Rights Movement, working with Eleanor Roosevelt on anti-lynching laws, marching on Washington and refusing to perform for segregated audiences on the USO Tour. Thanks to her, Lena can be considered a hero name. She’s all on the rise. In 2007, she ranked #453. By 2012, she’d climbed to #360. That’s a far cry from her former Top 50 ranking in the nineteenth century, but she’s definitely attracting notice. If you love the simplicity of choices like Emma and Ava, but want something less common, Lena is an elegant, playful, and accomplished choice that will wear on a daughter throughout her life. My mother had an aunt Lena (‘lay-na’). Tante Lena emigrated from Germany. Her given name was Helene, but I never heard her called anything other than Lena. I prefer this pronunciation of Lena. I like Marlena with the nickname Lena. It was in the running if my son had been a girl. My great-grandma was a Lena, although in her case is was short for Oline. I love the name Lena, the only thing holding back my affections is that Lena is kind of a jokey typical name for an old Scandinavian. Ala The Prairie Home Companion’s ubiquitous Ole & Lena jokes. It’s a little bit like name Italians girls named Angie and Gina or Catholic girls name Mary Margaret… perfectly nice names, but a little stereotypical. My great-great grandmother was named Lena (long-E pronunciation). I’m not sure how she came to be named that as we don’t have Scandinavian or German heritage, but she lived in Memphis for most of her life and was quite the genteel Southern lady, from what I’ve been told. I would love to use Lena to honor her and for its cross-cultural appeal. Oh how I look longingly at this name! Here in MN there are a plethora of Ole & Lena jokes centered around the silly antics of people of Scandinavian descent! I hope this name gains enough popularity to shake that image for us here! It’s so lovely and international. This is a great international choice. I’ve only heard it pronounced lee-na. I love a name that works across various languages and cultures. I’ve always pronounced it Leena, but actually I like the Layna pronunciation better. Works fine as an independent name, but I’d certainly use a longer version, Helena, Yelena, Elena… and Lena or Leni could be nicknames. I like Lena, but prefer Lina, and as a nickname. I say LEE-na. I think that it can definitely work as a stand-alone name, but I’m always of the mind that if you can get two lovely names, say, like, Helena and Lena, do it! I really like Lena and all 3 pronounciations are nice. I would like to suggest Hero for a name of the day, if it has not already been done. Lena is lovely. (I usually pronounce it LAY-nuh.) It does sound a bit incomplete to me (probably because I have Helena and Magdalena on my long list), but it’s not a name I would ever fault anyone for considering on its own. I like its simplicity, and I think it’s a great choice for parents who need a name that transitions seamlessly across cultures (for example, if the mom is Peruvian and the dad is Iranian, or if they’re both missionaries or international news correspondents or just frequent world travelers). Lena is a cool NN name, but I would name my child Helena or Yelena and just call her Lena. I like Lena, although it feels slightly incomplete to me, like I want to say Elena. Probably because I was friends with an Elena and knew another girl named Alaina. I also had a friend of a friend named Leni (lay nee), which I like as well, though I’d spell it Laney. But Laney/Leni seems like it has the potential to sound kid-ish on an adult; I would prefer Lane with nn Laney so she could go back to Lane if she wanted. This one is a favorite of mine, but the husband remains unconvinced. I love its association with Lena Horne and never really thought of it as a nn… funny that! I like Helena and Magdalena, but there’s no way I’ll be able to convince my husband of those names! I also like the Russian pronunciation (closer to Leh na, but with witha palatalized L), but that’s neither here nor there in the states. I love that you could go anywhere and not have any real trouble with the name (that was a pro on my list for Isadora and a con on my list for Imogen when we were naming Imogen – our girl). I like that it’s short without feeling abrupt and somehow it feels lush and strong and a very womanly name without it being too adult for a baby to pull off. Hmm, see, the most natural pronunciation for me is LEN-nah, that’s the only one I’ve come across in real life, and I don’t like it all that much. I prefer LEE-nah, but it takes some effort for my brain to say it that way. As for LAY-nah, that might be my favorite, but I’ve never heard it before, so it just isn’t working. I don’t know, Lena confuses me for some reason, I’m sure that sounds really ditzy, but, I just can’t wrap my head around it. Very Nice! I like Lena very much indeed and would rather run across hordes of Lenas over Avas or even Idas! (I like Lina too, as a nickname for Ottoline & Pomeline) My Pop was a huge Lena Horne fan and I grew up listening to her sing. Found out the rest about her when I was quite a bit older. Hero, indeed! 😀 Lena’s pretty but no softy. Strong, lovely and almost lyrical. I agree, I think she’d stand on her own well (even though I prefer her as a nickname) and age most gracefully! […] With a history of use from Eastern Europe to South America, there’s something globe-trotting about Magdalena. 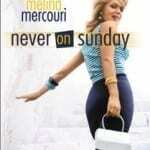 […] Melina makes for a relatively modern name, but she doesn’t feel invented.